This plan shows the layout of the auditorium for Three Sisters. The exact seat layout may change with each production. 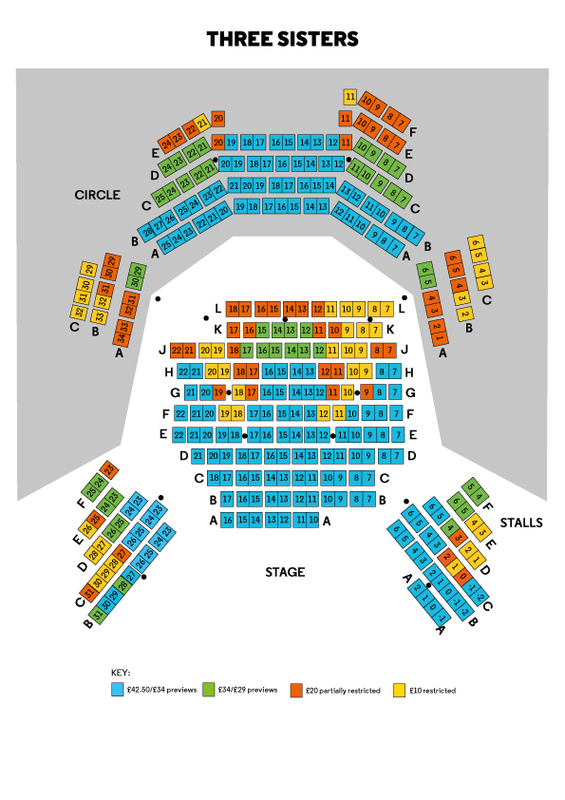 If you would like further information about the seating plan of a specific show, please contact the Box Office.